Where in the world could you find 30+ students crazed about organic farming? At YouthGROW farms in Worcester, that’s where. 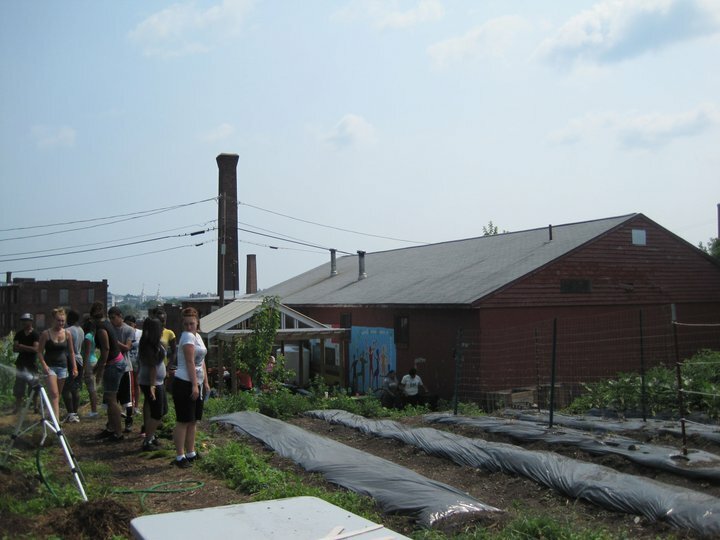 YouthGROW stands for Youth Growing and Raising Organics in Worcester. 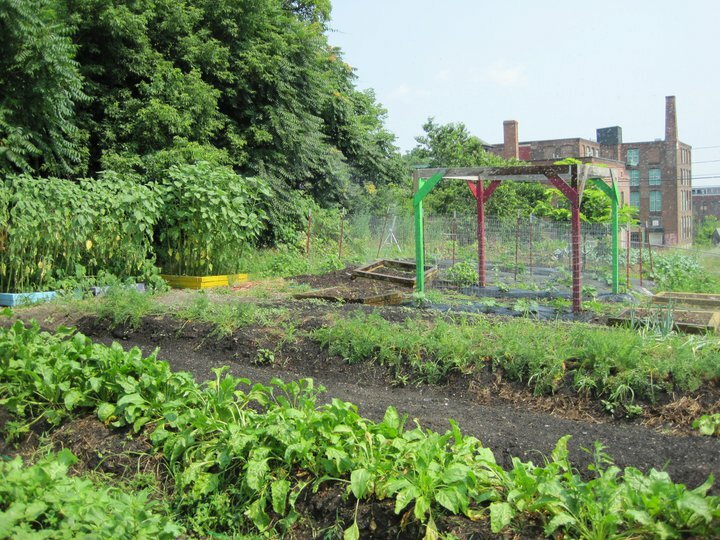 Take a stroll down to Main South and you’ll see a funky looking patch of land on Oread St., the middle of a low-income neighborhood, and that funky looking patch is full of soil beds, crops and students who are passionate about growing organic produce, learning and teaching. Never in my life have I met a group of students who have left me speechless (right now I am spastically shaking my head trying to write exactly how I felt, there are just no words). YouthGROW is a program where high school age students learn how to farm organically and naturally and learn life changing leadership and youth empowerment skills. YouthGROW, a program of the REC, Regional Environmental Council, employs low-income urban youth to work three days a week for minimum wage, the youth also have the opportunity to continue with the organization after they graduate high school as mentors or interns. The students’ day consists of a learning session, a free lunch, farm work and a daily farm project. Every Wednesday is field trip day for the group; they usually head out to spend the day with another farm or youth organization to volunteer and learn about what else is going on in their region. This past week they traveled down to University of Connecticut to learn about a similar urban agriculture group there. Mass Acceleration had the privilege of spending the entirety of Tuesday morning at the “Oreanic” YouthGROW farm on Oread St. Much to my surprise we were greeted warmly by the large group, we all know how teenagers can be sometimes when a group of strangers wanders in to their “home”. I expected a few muttered “hellos” and very little attention paid to us. Instead, they welcomed us into their farm and fired question after question our way, trying to learn about who we were. 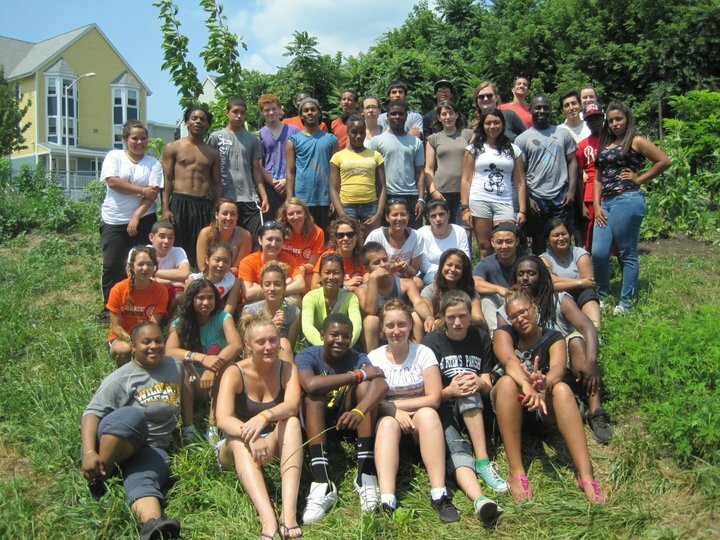 YouthGROW is more than just a summer job for these kids, it is an opportunity. An opportunity for them to learn, grow and be different. They get to learn how to grow food; it’s a powerful feeling to know how to grow food. Better yet they can learn how to farm organically and on a small plot of land at that. 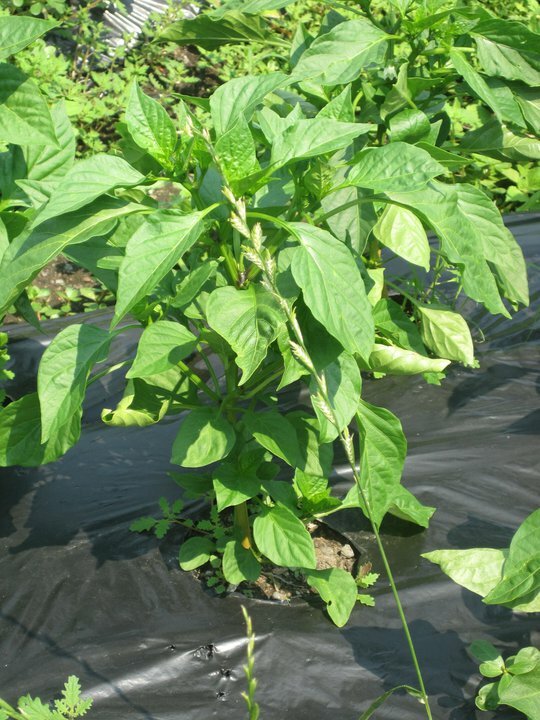 An organically grown plant at the farm! They can grow as individuals, working at YouthGROW is very different than a typical first job, and these students have actual responsibility. Their work affects so many more people than just themselves. The food produced at the “Oreanic” farm is taken to a local farmer’s market where it is sold to people from the Main South community, a lower income area, for a reduced price. 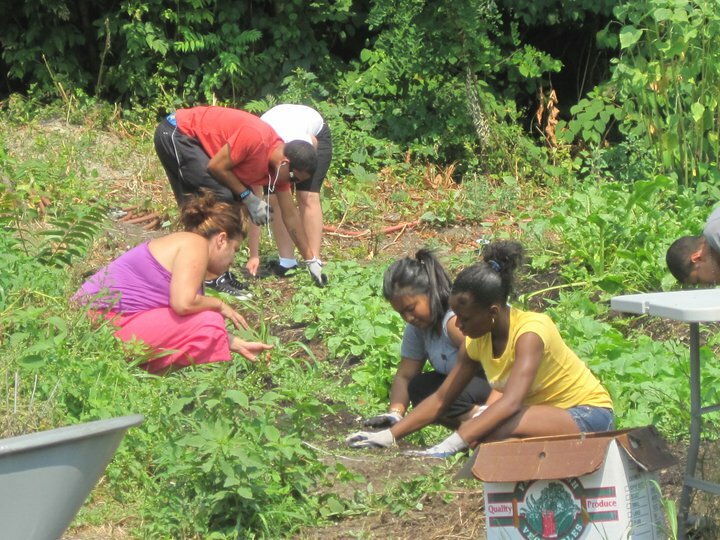 These kids get to do something amazing for the people of a low income neighborhood; they can provide healthy, local food that was grown without the use of pesticides. They can grow into responsible adults. They can develop leadership skills. And they can develop a passion that they may not have had the opportunity to try out before; very few inner city kids will wake up one morning and decide they want to have a career in gardening or farming or sustainable design. These kids have the opportunity to be different from many other youth in their neighborhoods. When asked how working at YouthGROW affects the students personally, a few of the kids answered that it is important because it keeps them off the streets, a few said that it gives them something to do so they won’t go out and get in trouble, others said that it helps them make new friends who could help keep them out of trouble. These kids have the opportunity to be different; they can be an example to the rest of the youth in their neighborhoods. Some of the student employees workin’ the land! I have never been more inspired to replicate a youth program in my life. For most teenagers their first job entails quite a bit of boredness and whining, it’s a get in and get out with a paycheck type of gig. Not for this group, that could not be any more opposite. They enjoyed going to work every day and they enjoyed learning. I wish I could have spent more time with this amazing program, but alas all good things must come to an end, and that came with a lunch break. But, I did not leave empty handed, I left on a high, floating down the road on my bike, thinking about this amazing program and wondering how it could work in my city. This entry was posted in 2011, Team Massachusetts and tagged 2011, climate summer, community, environmental justice, Mass Acceleration, Worcester. Bookmark the permalink.